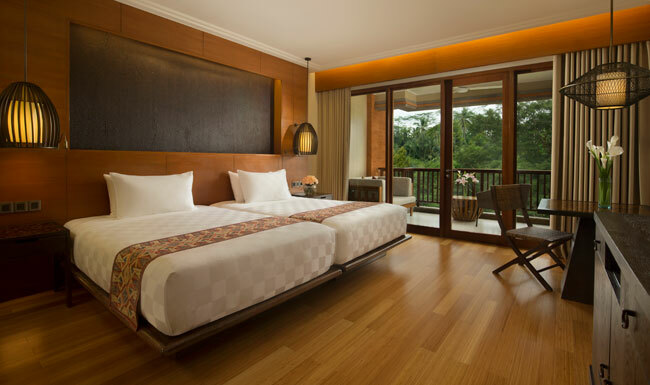 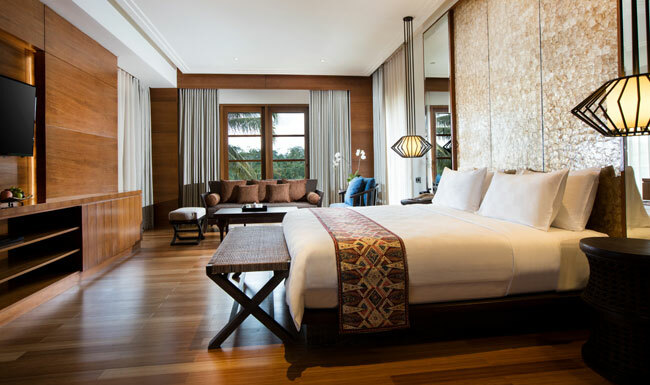 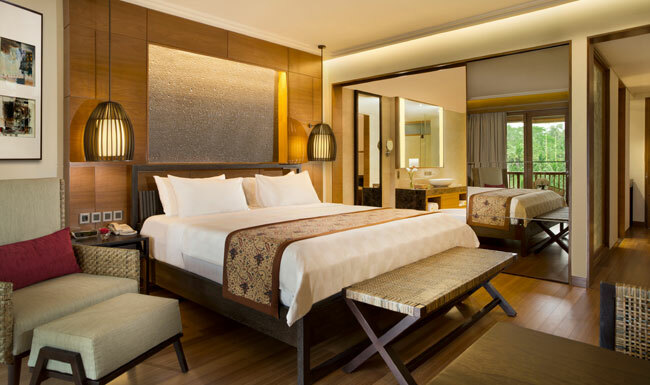 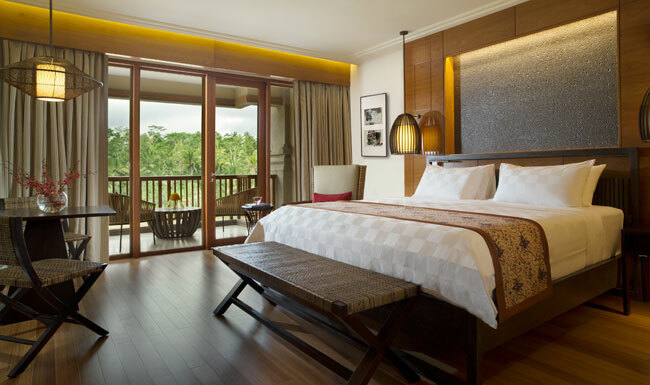 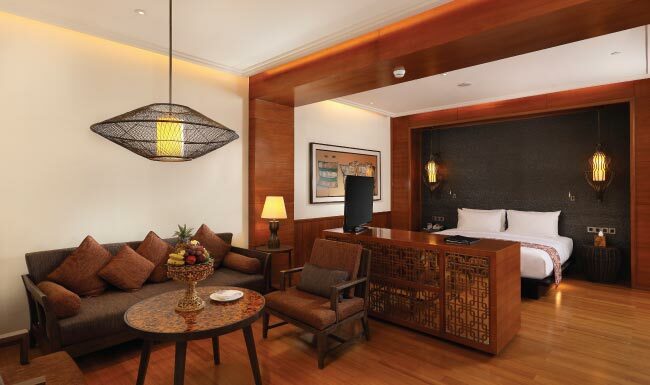 Measuring 59sqm (Includes the terrace), Premier Deluxe Room is appointed with artisan-crafted furnishings, custom lighting fixtures, hand-carved wooden detailing, state-of-the-art in-room media, and a private balcony, each accommodation is an oasis of modern design and authentic Balinese aesthetics. 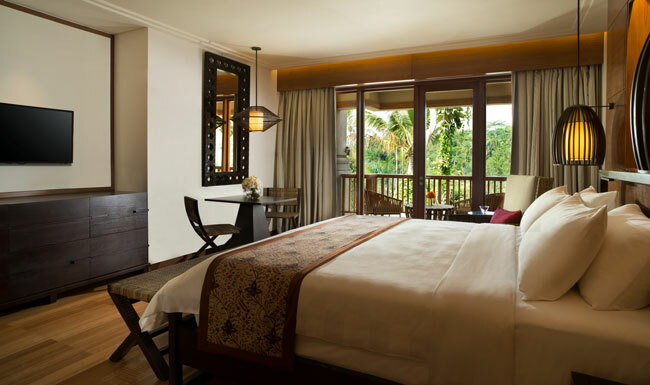 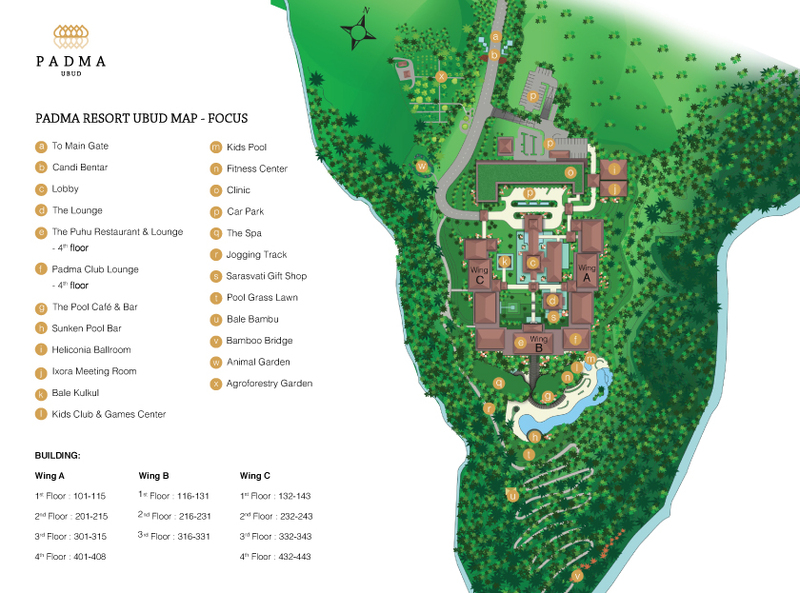 Rooms are spread out over the building from the first to the fourth floor, several rooms are located in a relaxing atmosphere with its own garden access. 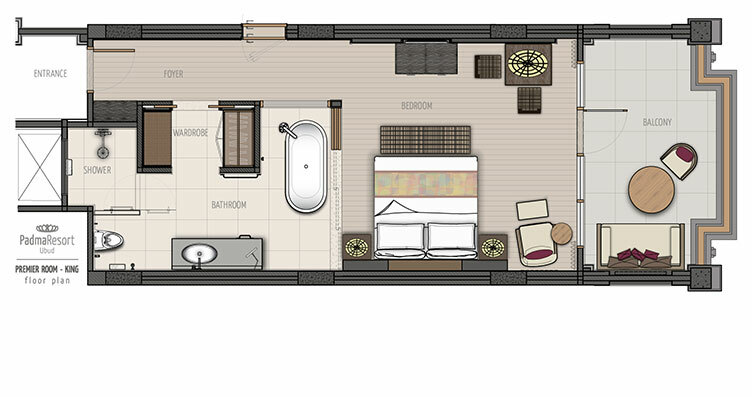 Your spa-inspired en-suite is an opulent study of relaxation and features a free standing bathtub, walk-in glass rain shower, single marble vanity, full-length mirror, and a generous dressing area with two safes.